Post subject: All-New Marvel NOW! Seriously, that is the official title they are giving to the second wave of NOW! books. Here's the ones they've announced so far. Really? 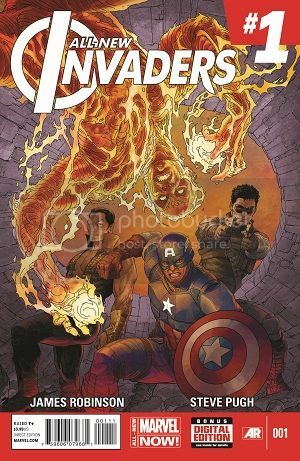 Gotta relaunch Avengers AGAIN?! Inhumans looks interesting though.. So does All-New Invaders. They aren't. Says 24 on the cover. Rogue Plantet #1 guess it's the arc. I'm excited for Inhuman. I want to be excited for All New Invaders, but James Robinson has sucked for years, so I'm not sure if we'll get awesome Starman/JSA Returns Robinson, complete hack Cry for Justice/JLA/Justice Society Robinson, or average to mediocre Earth 2 Robinson. Also, no Spitfire or union jack is kind of lame. Its not like anyone else is using them. As for Avengers, I don't think I'll be excited for them again until Hickman is gone. Next couple of books announced. It's looking like the next phase of NOW! is going to be very Inhumanity heavy. I am geeking with joy over the invaders and inhumans. I want to really see how they work the invaders. Shame no toro maybe he can get back like bucky did! Oh but they wouldn't do that for us. I hate to say it, but you're so right. The first arc, for me, was hard to get into... but it wound up being satisfying. the other issues since then are more of the same and it's just been getting tiresome. You're gonna be stuck with Hickman for a long time as far as I can tell. From interviews, everything up to and including Infinity is just the first act in his Avengers epic so I guess another 2 years worth to come yet. I figured that was the situation. Well, atleast we'll hopefully have Mighty Avengers for awhile, which started pretty well. 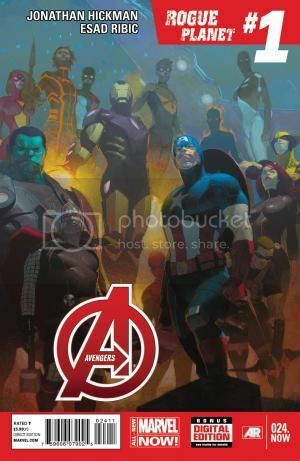 I also have hope for Avengers Assemble, so there should be some good Avengers titles out there, even if Hickman is going to continue his borderline gibberish in Avengers and new avengers (Uncanny isn't great, but its ok right now). Think that's everything announced now. Here's a round-up of the new All-New Marvel Now series and some of the events/creative team changes on other books. I didn't know about Black Widow, but I'll definately give it a try. Captain Marvel's renumbering is pretty funny. It won't even get to issue 25 before it gets renumbered I'm not sure about Miracleman. When it gets to new stories, I'll probably try it. Gaiman did turn around the original comic after Moore's run, which started decently but went down hill near the end. I'm interested in New Warriors, although I don't know why the scarlet spider is there. 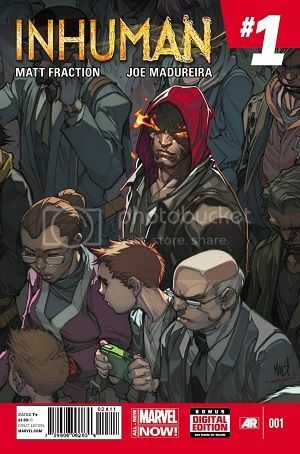 I'm assuming its still Kaine, since thats his costume, but he's pretty old to be on the team. That being said, for a book that's editor apparently compared it teen titans, several members (Justice and Speedball specifically, and Kaine if that is him) are older (Justice and speedball are probably atleast 23 if not older, and Kaine is probably, biologically, in his 30's). If it wasn't for the costume, I would have assumed that they were using the surviving clone of a teen hero from Avengers Initiative (MVP, but his three clones all went by Scarlet Spider). Atleast one of the clones is still alive, and wasstill going by Scarlet Spider in his last appearance. Besides that, She-Hulk and X-factor are the other two new comics I'm interested in. I'm actually going to be trying a couple of these. All-New X-Factor is a given. I've enjoyed most of what I've read from Ales Kot so I'll be picking up Iron Patriot (not Secret Avengers though, not interested in the premise of the book or the line-up). Nathan Edmondson is another writer whose work I've liked so Punisher is another one to add to my pull list (again, giving his other book - Black Widow - a pass as I've never been a fan of the character). Very excited about X-factor AND New Warriors (though I think any comparison between NW and Titans is way off the mark. No iteration of either has ever looked or felt like the other in anyway except, perhaps, for the ages of the members... Warriors always had a distinct identity that differentiated them from any other teen team book... And it's clear this isn't meant to be a "teen" book anyway. Scarlet is on the team because Yost isn't done with him, even though his solo title is canceled. The end.